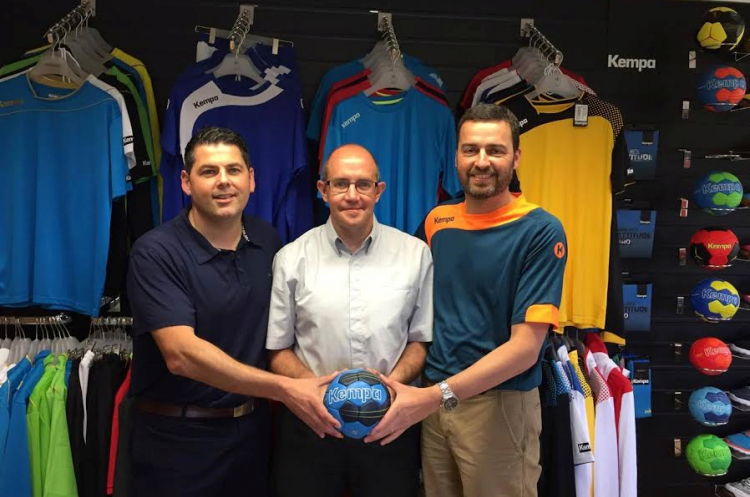 England Handball has announced a deal that sees renowned handball brand Kempa become its Official Ball and Apparel partner. Under the three-year agreement Kempa will provide match balls for Super-8 teams and kit for EHA referees. England Handball’s Academy and national teams will wear the Kempa brand. England Handball’s staff and workforce will be kitted out in Kempa leisurewear. In addition the Kempa playing and training kit, leisurewear and bags will be available to purchase on the EHA Shop, so that everyone can be part of the excitement. England Handball CEO David Meli said: "Kempa is a brand with a proud handball tradition and we are delighted to enter this partnership with them. "Handball is the most exciting, action-packed, high-scoring, team sport and this agreement demonstrates another step forward in the growth of the sport in England. "It will not only directly benefit Super 8 clubs and our referees, but our Academy and national teams will also wear high-quality kit that matches their aspirations."